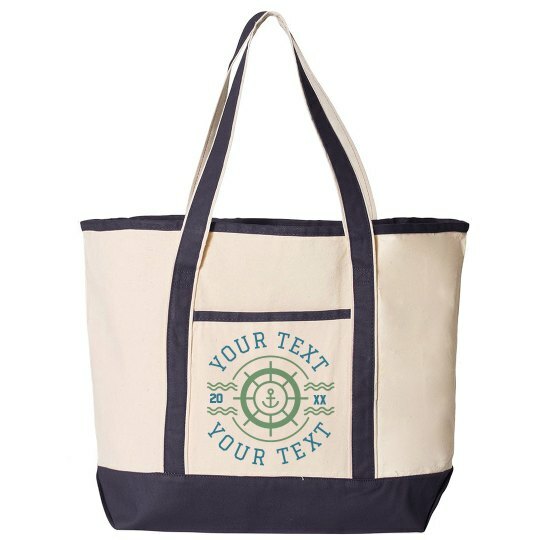 When you go on your cruise vacation, don't forget to pickup this tote to put all your extra towels and sunscreen in! You can customize the front pocket design with your own text to make it just right for your nautical excursion. You can also change the color to match your luggage!